After may years, all the mechanical work is complete on my 57 Studebaker Hawk. Prior to running the AMSOIL AME 15W-40 Diesel (High zinc and detergent) I just switched to the AMO 10W-40 (High Zinc).. 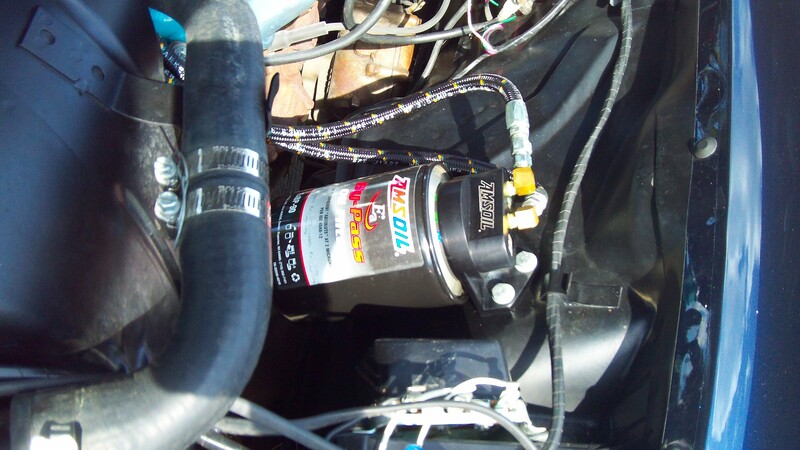 The car features a number of AMSOIL products from Severe Gear 75W-90 in the differential, the BMK-21 Bypass kit, the racing Severe Gear SAE250 in the steering gear box, the EAAU air filter with EAPF cover, ATF transmission fluid, the Propylene Glycol Antifreeze at a 40/60 rate mixed with the RDCB Dominator Coolant Boost. Of course several AMSOIL products were used as well such as the polymeric truck grease and multipurpose grease in bearings, kingpins, universal joints and steering linkage. The Metal Protector and Heavy Duty MP were used throughout the construction and disassembly of the car. You never felt an engine run so smooth and a transmission which prior to using AMSOIL wouldn’t even shift for 3 seconds. The ATF seemed to bring back the life and I’m sure it runs much cooler too. I may put temperature sensors in both transmission and differential. So as a solid restoration and testimonial car we can already rest easy thanks to the performance and protection AMSOIL gives to us in these vintage cars.